This is a reference video before the added upgrades, right? Two months ago, Hennessey Performance posted a video of the company taking delivery of its 2018 Ford GT ’67 Heritage Edition supercar. The video shows the car rolling off the truck and a representative from Ford going over all the juicy details about the car. At no time during the video did Hennessey hint at what it has planned for the new GT. However, a new video shows the company completing a high-speed test run of the Ford, taking it up to 180 miles per hour. The Texas aftermarket tuning company noted the GT is still stock in the video’s description. Maybe that means at some point in the future it won’t be stock anymore? It’s odd watching videos that are centered solely on the speedometer. There are few references to speed other than the climbing numbers, and the Ford GT’s acceleration feels slow even though the biturbocharged 3.5-liter V6 produces 647 horsepower and 550 pound-feet of torque. It takes the car about 30 seconds to reach 180 mph in seventh gear, which is fast – really fast. We bet sitting behind in the driver’s seat makes up for the lack of the sensation of speed. Watching the instrument cluster shows the GT has just 156.6 miles on the odometers. During the acceleration test, the GT loses one mile of range – dropping from 99 miles to 98. You can also see oil temperature rising 30 degrees Fahrenheit to 224, oil pressure fluctuations, and turbocharger pressure changing. Hennessey’s 2018 Ford GT comes with the ’67 Heritage Edition, which adds a host of unique touches. The car draws inspiration from red-and-white 1967 GT40 that won LeMans that same year. That classic car had Dan Gurney and A.J. Foyt at the wheel. 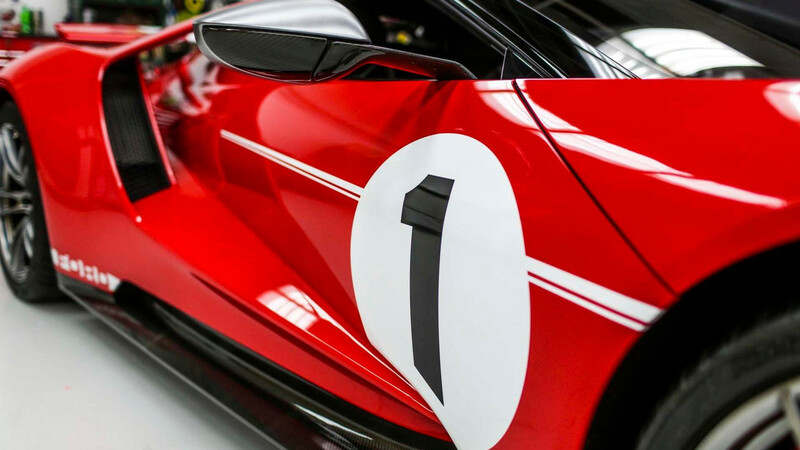 The package includes exposed carbon fiber, white exterior stripes over Race Red exterior paint, and the white number one oval shields on the doors and hood. Twenty-inch aluminum wheels with silver satin finish are also included. There’s red accent stitching on the seats and steering wheel, red seat belt webbing, and gray paddle shifters inside. We hope this video is just the first in a series from Hennessey. 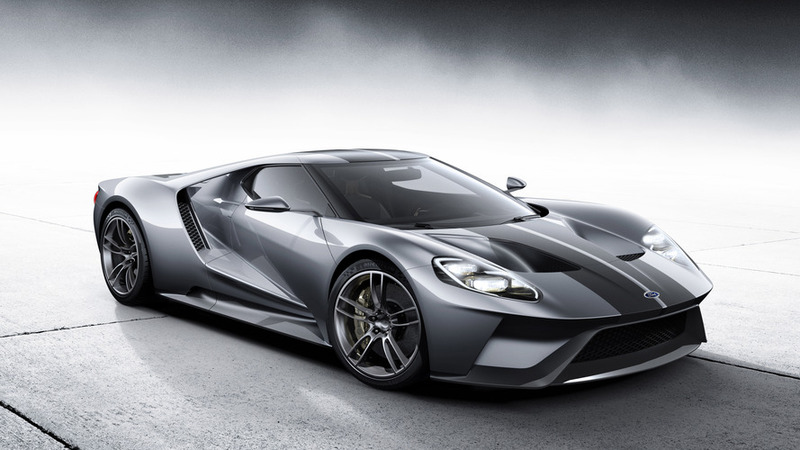 It would be awesome if the tuner kept track of the GT’s progress as the company tries to get more power and performance out of Ford’s new supercar. We don’t know what Hennessey has planned, but we can certainly hope for a 1,000-hp Ford GT.